Britain is a nation of pet lovers. In fact, it’s estimated that 40% of households have a pet, whether in the shape of a dog, cat, goldfish, rabbit…the list goes on. Predictably enough, dogs are, er, top dogs in the tally (24%) with cats a not-too-distant (17%) second. With this in mind, we’ve looked at the most vital pet products on the market. Our shortlist includes joint supplements for dogs, stepladders for cats and a fitness tool that bears more than a passing resemblance to the FitBit you wear on your wrist. Let's do this. News that Britain’s dogs are suffering an epidemic of arthritis and obesity will be a wake-up call for indolent pet owners up and down the nation. It’s a sad fact, but one in three dogs are overweight or obese. It’s time to quit the excuses (“Work was crazy, I’m too tired”), get off the sofa and take your dog a nice, brisk walk. Cutting back on the treats also wouldn’t go a miss. Anyway – rant over! Let’s talk about vital pet products starting with FitBark, a nifty device which helps you monitor the wellbeing of your canine. Made to fit dogs of any size, FitBark collects physical activity and rest levels day and night, letting you gain an unprecedented insight into your pup’s health and behaviour. Recording metrics like distance, calorie burn and nocturnal sleep score, the Bluetooth-enabled FitBark can be synced with smartphones to a distance of 30 feet, letting you keep track of your energetic pal on the free app. It’s even waterproof! 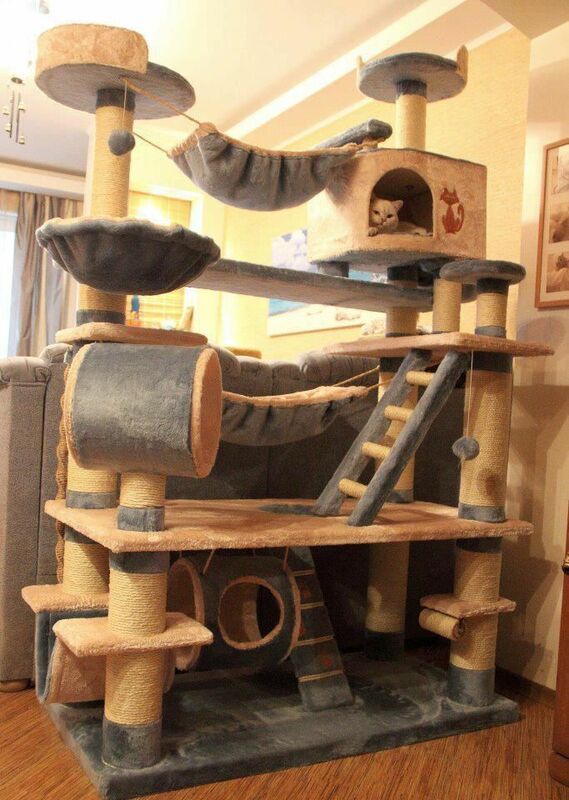 You might not count the Cat Ladder among the world’s most vital pet products, but we like it a lot. That cats love to climb is undeniable, and though ever more elaborate cat towers are being built every day, we like this novel idea of attaching a simple cat ladder to furniture – not least because it’ll keep their joints healthy by negating the need to spring onto tables, desks, chests of drawers etc. The Cat Ladders are hand-crafted and made to order, with cat owners free to choose the number and width of steps, the wood finish and the carpet colour. Investing in a Cat Ladder is a great way of keeping indoor cats engaged and curious (top tip: plant a few treats on the topmost steps; you can't go wrong with Dreamies) and is easy to move from place to place throughout the home. While you climb the corporate ladder at work, you can be sure your cat is scaling the heights at home. Everyone's a winner! We heard last month that playing fetch could be harmful for dogs’ legs, such is the way our eager companions shift weight onto their forelegs as they gallop towards a flung toy. Lightweight items are best: tennis balls, small sticks and the like. Still, many dogs – especially larger breeds – suffer from poor joint health owing to genetic trends. Obesity, as mentioned earlier, also places an undue burden on joints. To address the problem, Vibrant Health have designed one of the most vital pet products available. Joint + Hip is a comprehensive formula that promotes joint cartilage growth, flexibility and mobility and is suitable for both cats and dogs. Because cartilage naturally wears down over time, Joint + Hip’s collagen staves off the threat of joint disorders and injuries. Other ingredients include glucosamine, which stimulates the production of glycosaminoglycans – known for holding moisture around cartilage cells and destroying inflammatory compounds. The formula also includes ApresFlex®, a natural healing agent used to treat joint pain. All you need to do is mix Joint + Hip into your pet’s food at mealtime; the addition of powdered beef liver makes this one a tasty treat. There you have it: three vital pet products for Britain’s best loved domestic animals. Christmas is a long way off, but few pet lovers need an excuse to lavish their favourite furball with some love. Which of our vital pet products is your favourite? Send us a message on Twitter or Facebook to kick-start the debate!